Well, i hope the title fit with this i hope..^^"
EDIT: i noticed that i forgot yo outline suigintou's other bow hehehe *blush* and try to change the link of png later ^^ gtS! I like it. Nice vector. I can see the original scan is very very messy ... with those sakura flower around -.-"
Wow.. I'm impressed ^^ The vectoring looks great. It must've been hard to make the wall look so big when the original image you used was so small. Great job ;) Deserves a fave XD Keep it up! omg! 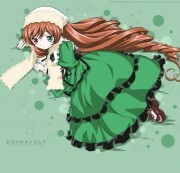 XD shinku and suigintou! XD love itg! XD have really improved your vector skills! ^^ nice one! impressive... the vectoring is awesome.. very lovely wide screen wall.. XD love it! 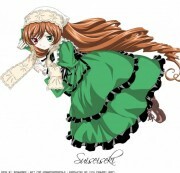 wow, incredible vector, good job suiginto and shinku are brilliant, very well, thanks.